Black can be subtle, black can be brutal, black contains all colors and no colors, so it's no wonder that the LTD Black Metal series appeals to guitarist who want to find all of that in their music. 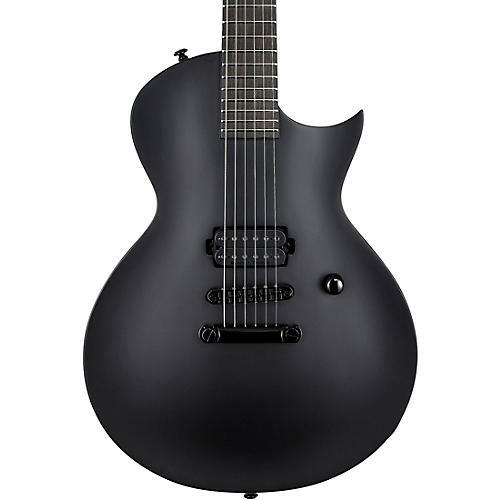 Comparable in build quality to the LTD Deluxe 1000 series, the satin-finished EC-Black Metal brings a darkly menacing presence to a guitar that is ready to pummel your audience's ears into submission. Loaded with a "Blackened" Seymour Duncan Black Winter pickups and a locking TonePros bridge and boasting a smooth Macassar ebony fretboard on a fast Thin-U mahogany neck, it's as stealthy to play, as it is to look at.